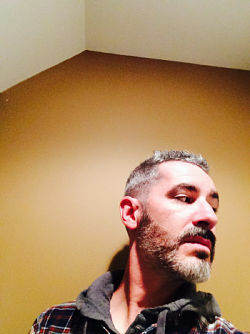 Joshua Kryah is the author of two collections of poetry, We are Starved (2011) and Glean (2007). He received his MFA from the Iowa Writers' Workshop and a Ph.D. from the University of Nevada, Las Vegas, where he was a Black Mountain Institute Fellow in poetry. The recipient of fellowships from the NEA, MacDowell Colony, and the New York Public Library, he has been the Thornton Writer-in-Residence at Lynchburg College and the Summer Poet in Residence at the University of Mississippi. His awards include the Michael W. Gearhart Prize from The Southwest Review and the Third Coast Poetry Prize. His poems have appeared in The American Poetry Review, Kenyon Review, New England Review, and Ploughshares, among others. He lives in St. Louis and teaches at Southern Illinois University, Edwardsville.